Manufactures universal rubber parts including CV boots to the automotive aftermark. Offering automotive parts sorting and rework services, automotive parts containment services, and suppliers parts inspection services. Manufactures automotive crank, crankshaft, motorcycle parts, agricultural parts, outboard engines, and engine parts. From Taiwan. 6 Heffs Automotive Supply Inc. Automotive O.E. Manufactures cockpit subsystems, automotive door modules, glass systems, seat mechanisms and engineered assemblies for the auto industry. Offers aftermarket auto accessories and parts. Manufacture of high quality parts for the automotive industry. specializing in cork parts. Manufacture alternator parts and starter parts for the automotive electrical rebuilding industry. Traders of automotive spare parts based in Australia but delivers internationally as well. Sales of hydraulic automotive lifts and lift parts. Specializing in locating hard to find, rare and obsolete replacement parts for lifts. Manufactures rubber parts for the automotive industry like mounts, shocks base, boots, automotive pedals and bumpers. Based in Mexico. Manufactures spark plug, automotive lamps and mirrors, piston pin, mechanical seal components, and electrothemal plug. From China. High performance automotive parts and accessories including intake manifolds, harmonic dampers and Powerflow fuel filter. Manufacturer of special cold formed fasteners including bolts, screws, rivets, and pins. Parts made to specifications in the industrial and automotive markets. Precision manufacturing company makes parts for aircraft, CNC equipment, automotive industries. Also, special machinery, prototype parts, extruder dies for pet food companies. Malaysia. Diversified group of manufacturing and trading companies, active in building materials, automotive parts and textiles. Tufted and Axminster carpets and mats for residential, commercial and automotive applications, from wool, polyamide and blends. North American based manufacturer of zinc die cast parts. Features hot chamber machines producing parts ranging from trucking and automotive, to sporting goods and electronics. Manufactures rubber parts for automotive applications, generator, brake, pump and isolation parts. From China. Military parts & equipment including automotive parts and repair for US Military. UK. Wholesale distributors of automotive parts, components and accessories. Also, parts and accessories for the healthcare industry. Custom injection modular molding of rubber spare parts for the automotive, agricultural and textile industries. Exporting spare parts of agricultural tractors. Agricultural tractor spare parts of high quality at reasonable prices. manufacturer of slack adjusters, s-camshafts, camshaft kits, brake lining, axle, truck brake parts, automotive and bus parts. located in china. Manufacturer of automotive parts for both OEM and aftermarket. If the business hours of Newman Cams in may vary on holidays like Valentine’s Day, Washington’s Birthday, St. Patrick’s Day, Easter, Easter eve and Mother’s day. We display standard opening hours and price ranges in our profile site. We recommend to check out newman-cams.com for further information. 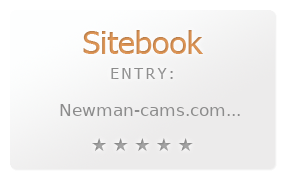 You can also search for Alternatives for newman-cams.com on our Review Site Sitebook.org All trademarks are the property of their respective owners. If we should delete this entry, please send us a short E-Mail.